This Thursday August 2nd is IPA Day. For those of you who weren’t aware, this annual event was co-founded by beer evangelist and social media celebrity Ashley Routson aka “The Beer Wench“. From the IPA Day website, it’s described as “universal movement created to unite the voices of craft beer enthusiasts, bloggers, and brewers worldwide, using social media as the common arena for connecting the conversation together.” Basically a more wordy way of saying, let’s celebrate this widely loved beer style on a certain day by drinking it, doing special events around it and tweeting/blogging about it. 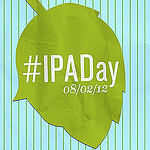 This is the 2nd annual IPA Day. Last year I went down to Florida on beercation, and didn’t actually get to partake of an IPA on IPA day. This year things are different. On Thursday starting at 6pm I will be at Suttree’s High Gravity Tavern on Gay street for their IPA Day celebration. So what is going on at Suttree’s for IPA Day? Well first of all, as many of the 24 taps as possible will be switched to different IPAs. Expect to see East coast, West coast, English and historical examples of the style. The main show however, is what we are going to do with 2 separate infusers. We will have 2 kegs of Green Flash West Coast IPA, a very solid, enjoyable (and very loved) beer on it’s own. One keg will be infused with whole leaf Simcoe Hops, and the other keg will be infused with whole leaf Citra hops. I picked these two hops based on their wild popularity in the world of craft beer. These 2 varieties are incredibly good, but rare and expensive at the same time. These aren’t hops you can grow in your back yard. Both cultivars are proprietary, meaning only a few select farms in the Yakima Valley of Washington are licensed to grow them. Simcoe has a very distinct aroma of citrus, grapefruit, and pine. While it is a very popular aroma hop, its high alpha acid percentage and low cohumulone content make it a very useful bittering hop as well. Citra is a dual-purpose hop released in 2007 by the Hop Breeding Company. It is a cross of Hallertauer Mittelfruh, U.S. Tettnanger, East Kent Golding, Bavarian, Brewers Gold, and other unknown hops. Citra has a citrus aroma and flavor, with a heavy aroma of tropical fruits (guava and mango come to mind). It is typically used as an aroma hop, but due to its high alpha percentage and low cohumulone content, it makes an excellent bittering hop as well. This IPA Day infusion event is a very good way to come taste and experience the difference between these two. It’s the same beer but different hops. Which one will be your favorite? We’ll have a running tally and will announce which hop won the tasting on Suttree’s twitter account. I hop(e) to see you all there. One more thing before I sign off. I want to give a big thank you and shout out to Dave and Adam of Saw Works Brewing Company. 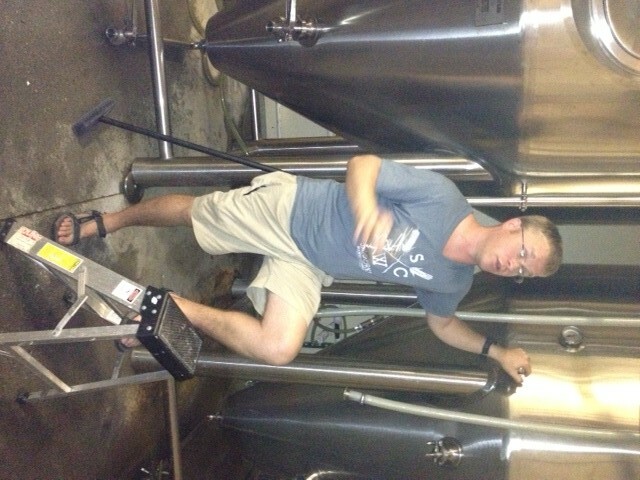 Yesterday evening they hosted a TN Valley Homebrewers tour of their brewery. Going behind the scenes with fellow beer geeks and seeing just how much work goes into bringing Knoxville great beer was inspiring. So when you are out on the town, don’t be afraid to drink local. Rest assured that they are going above and beyond to bring Knoxville the quality and consistency that we craft beer lovers deserve. This entry was posted on Tuesday, July 31st, 2012 at 13:42 and is filed under #IPAday, #knoxbeer, Beer, Craft Beer, Drinking, Infusion, Knox Beer Crew, Knoxville bars, Knoxville Beer, Knoxville beer bars, Knoxville beer blog, suttree's high gravity, whole hops. You can follow any responses to this entry through the RSS 2.0 feed. You can leave a response, or trackback from your own site.